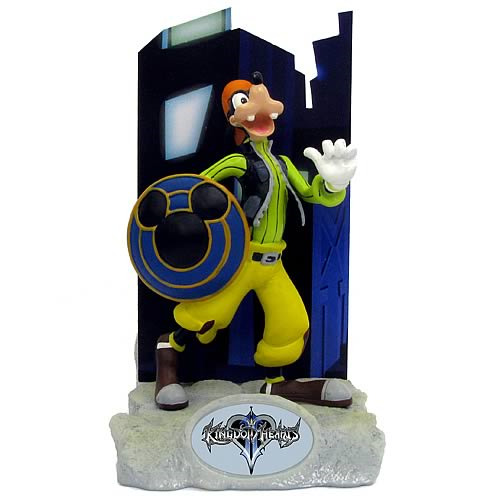 Kingdom Hearts Goofy Resin Paperweight. Add the adventure of Kingdom Hearts to your home or office, with this highly-detailed resin paperweight. Order yours today! Measures about 5 1/4-inches tall from the base. Ages 12 and up. Collect them all and complete the background setting.